Don’t sweat the big stuff. 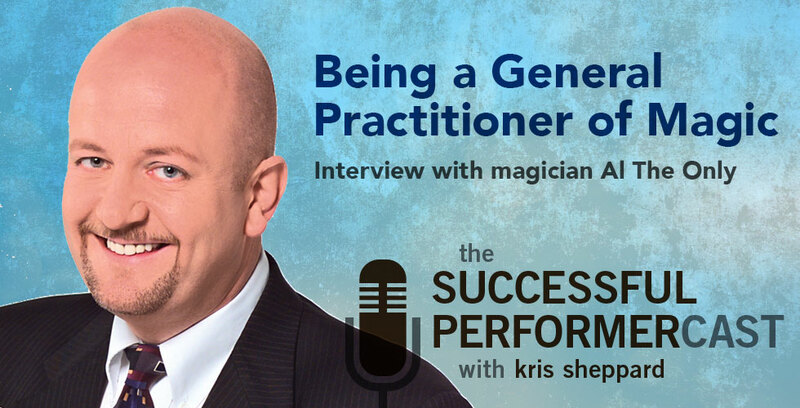 • Defining general practitioner as it applies to being a full-time magician. • Accomplishing the needs of his clients’ magical needs whatever they may be. • If the client asked him if he could do something, he always said yes. • Weren’t really any gigs he wouldn’t take, but there are some that he wishes he had been able to do. • Talks about how he’s now in the school show market and how he couples them with corporate gigs he’s doing. • Talks about some of his selling techniques and strategy. • How he travels with two shows. • He has two of everything he does. • Talks about the most unusual show he did which was being hired to steal from a department store. • Talks about hiring a colleague sometimes to help serve the client in which he becomes the producer of a show. • Being “present” with the people you’re performing for. • Talks about some of the things he did to get gigs initially after getting laid off from his day job. • How his full-time restaurant job was the foundation of his business. • Talks about his branding of Al The Only. • How his name is instantly recognizable. • Does the name make the individual, or does the individual make the name? • His take on successes and failures. • Dealing with multiple time zones. • It’s not about the magic, it’s about the people you’re working with. Tells about how he’s lost all his money three different times within his career. The relationships with his clients. 1. Don’t do free shows. 2. If you think a show is out of your league, pass it up to another pro. 3. Never say you can’t do something for a client. 4. Don’t believe your own PR. We all have smart devices, but the smartest device we have is our brain! Listen to people. Listen to your friends. Where can we find Al The Only?